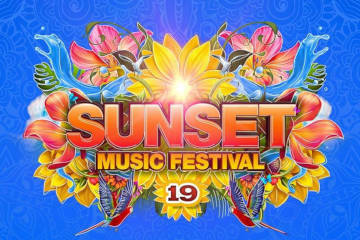 The Sunset Music Festival is coming to the Raymond James Stadium in Tampa, Florida on Saturday, May 25-26, 2019. Prepare for a sensory overload of electronic goodness with top-notch visual and audio production at the premier electronic music festival in Central Florida. Saturday Lineup: Blunts and Blondes, Chris Lake, Decadon, Destructo, Dion Timmer, Dombresky, Droeloe, Fisher, Flux Pavilion, Gammer, Illenium, Lick, Liquid Stranger, Matt Medved, Omnom, Rusko, Steve Darko, Subtronics, Tchami, Walker and Royce, Weiss, Will Clarke, and Zedd. Sunday Lineup: 12th Planet, 4B, Alison Wonderland, Audien, Bonnie x Clyde, DNMO, Dog Blood (Skrillex and Boyz Noize), Gabriel and Dresden, Ganja White Night, Getter, GG Magree, Holly, Ilan Bluestone, Kaskade, Mat Zo, Oliver Smith, Peekaboo, Phantoms, Said the Sky, Yael, and Zeds Dead.